The editors here at HuffPost Style have been discussing our Halloween costume ideas since August. We take dressing up for this holiday seriously. But when HuffPost Live makeup artist Kari Bauce tipped us off to the Instagram account of Lucia Pittalis, we started rethinking everything. 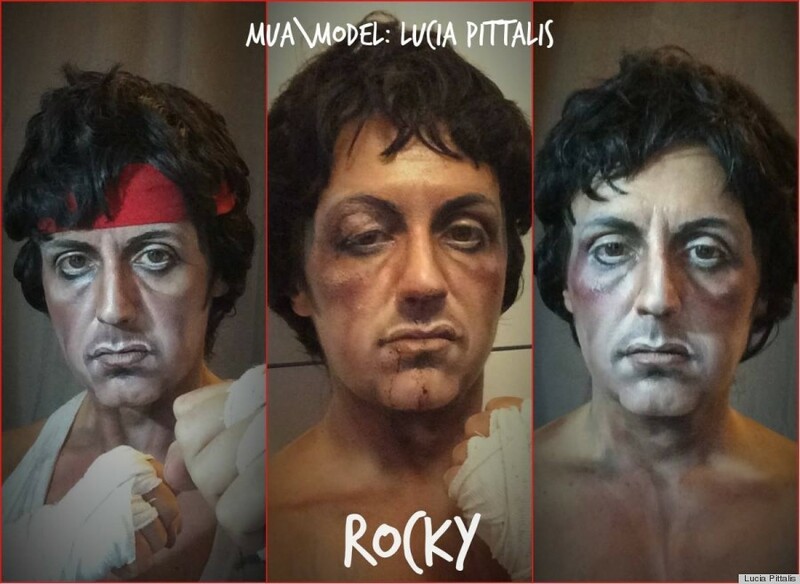 Pittalis is an Italian-based makeup artist and portrait painter who takes makeup transformations to the next level. 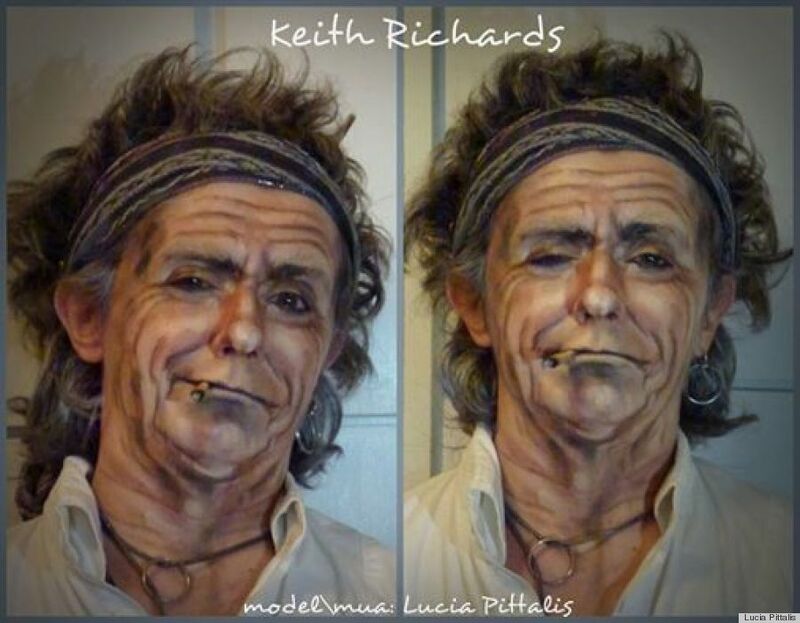 Having studied the classics and art in school, she uses this knowledge along with her impeccable technique to alter her appearance into movie characters and music icons like Rambo, Iggy Pop and Jim Morrison. While Pittalis doesn't wait until Halloween to transform herself, she does go all out on October 31. Last year she was Danny Trejo in "Machete" and back in 2012 she morphed into English rock star Lemmy Kilmister. Clearly we all can stand to learn a thing or two from Pittalis. Read on to find out how she gets into character, the products that help her to look unrecognizable and her most grueling makeup transformation yet. HuffPost Style: What is the process like from idea to creation? LP: The process is studying the character -- watching photos, movies, videos and saving frames where necessary. I think how can it be adapted on my face. It is a kind of acting process before. I must be that character. Then I put on background music related to that character to be in the mood and I start to watch myself in the mirror. HPS: What type of makeup products do you use? Lucia Pittalis: I use mostly an Italian product, IndioColor sticks, a very good brand for theater and cinema. Then, I mix various brands because I need wax and collodium sometimes. HPS: What has been the most time-consuming makeup transformation? LP: Rocky. [It took] more than five hours because I posted three different photos, with and without bruises. HPS: How do you remove all of that makeup? LP: Yes, I remove everything after I take selfies -- mostly everything goes away with makeup removers, water and soap. HPS: What do you use to take care of your skin and hair? LP: As I am 43 years old, I take of my skin with mature creams, day and night. My hair is long and curly (Mediterranean type) so I use often balms and creams. HPS: How much time do you give yourself between transformations? LP: I give myself enough time to study my new character, being close to his or her image and having time to relax and paint my face. Sometimes it can be weeks and sometimes its days, depends on the inspiration. HPS: So far, what's been your favorite transformation? LP: My favorite is Bette Davis, [I have a] deep love for such a great actress and talent. I want to do "Baby Jane" too with her madness and expressions very soon. HPS: If you could recreate any celebrity look, who would it be? LP: David Letterman. I love him! HPS: Any tips for people who may want to experiment with more makeup this Halloween? LP: Love a character and have fun to create with your own possibilities. I buy old stuff at markets like wigs and accessories -- it is extremely fun searching for good stuff to create a character. 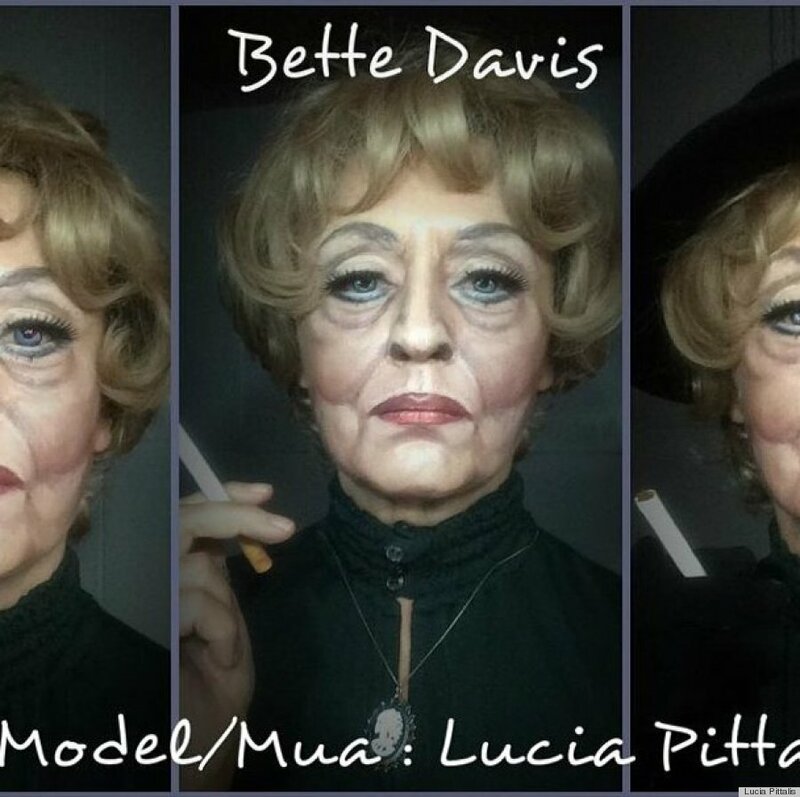 To see more of Lucia Pittalis' astonishing makeup transformations, follow her on Facebook and Instagram.